I've never seen a performance quite like Simply Simone: The Music of Nina Simone. 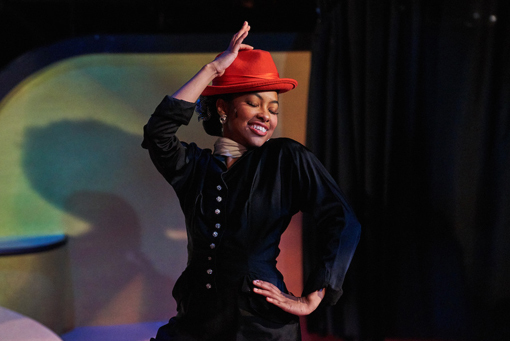 Four women portray Nina Simone , each at a different "era" in her life. They're onstage together for the majority of the performance and they divinely, and with great power, sing the story of Nina Simone's life. Aside from knowing Nina personally, I don't think any biography, tribute concert, or even the Oscar-nominated documentary tells her life as magnificently as these four women. I didn't know Nina Simone before this performance. I knew she was famous and a favorite of many, but I didn't know her life...her ambition to become the world's first African-American classical pianist, her contributions as a civil rights activist, her superstar fandom, or her world travels. What an introduction! This was also my very first visit to Theatrical Outfit. It's been on my want-to-visit list for years. 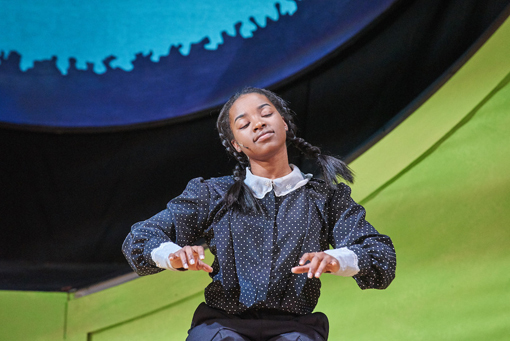 I'm so grateful that Simply Simone was my first experience of this wonderful theatre. And I'm absolutely aligned with its mission of "Starting the Conversations that Matter". I find it fascinating that growing up Nina was, through her musical training—beginning at the age of three—sheltered from so much, yet she became the amazing, catalyst for action in the civil rights movement that she did. And thank goodness she did. She said she couldn't possibly be separate from it, that she couldn't not include the fight for civil rights in her music. 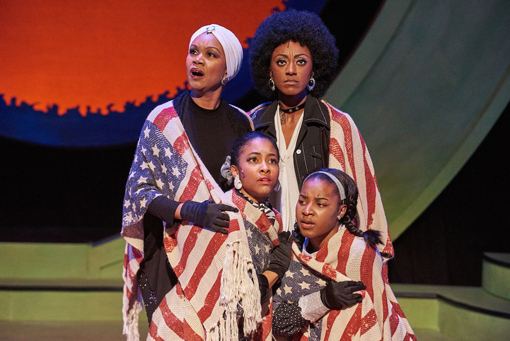 The entire show is powerful, but the telling and music recounting the atrocious bombing of a church that killed four young girls moved me most. I'd, of course, read about that Birmingham bombing—11 days after a Federal order to integrate the Alabama school system—but "hearing" it like this...it broke my heart and brought me to tears. Remember Cynthia Wesley, Carole Robertson and Addie Mae Collins—all 14 years old—and 11-year-old Denise McNair. 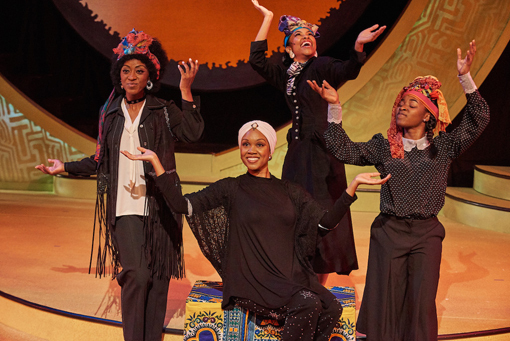 I'd had the great pleasure of seeing Marliss Amiea (Nina 4) perform in 'da Kind in my Hair just last year. I was already a fan having seen her in that musical, but now...I'm an enthusiastic fan, forever! What a magnificent actress and singer! Keep an eye on Chelsea Reynolds (Nina 1)...she has a truly promising acting career ahead of her. All four women are absolutely amazing and they perform beautifully together. 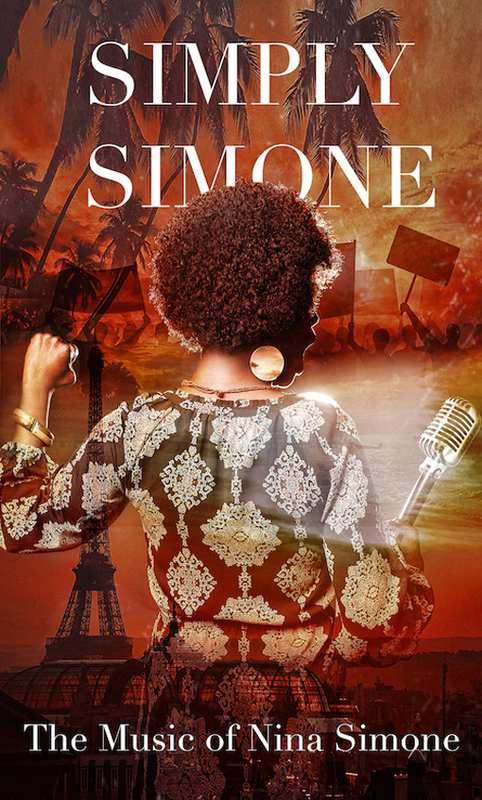 The music for Simply Simone is performed by a live band, situated stage left, and they offer a few words during the performance, but it's the ladies who own the stage. They even portray the male characters—a father, a husband—a transformation convincingly accomplished by simply donning a hat. The set, lighting, sound, wardrobe, choreography, acting, singing...this musical is perfection! 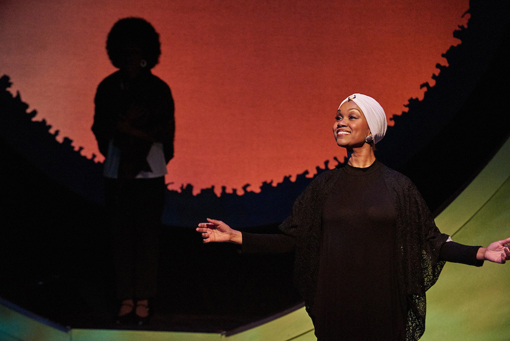 This is the final week of Simply Simone: The Music of Nina Simone. See this magnificent musical by Saturday, April 15 at Theatrical Outfit.